My love affair with strawberries has been long. When they’re in season, I eat them, I bake with them and I freeze them (so I can eat and bake with them later when they’re not in season and/or gold plated.) 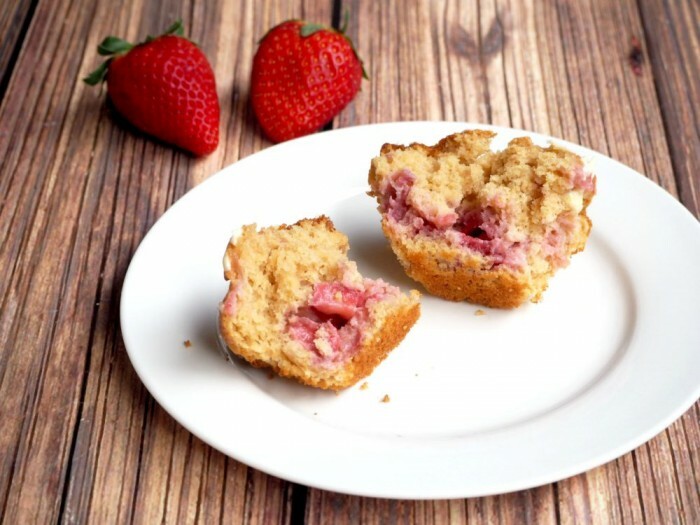 These muffins are a tad healthier than usual because hello, wholemeal flour and there’s not so much sugar, because the strawberries and white choc chips are sweet as! 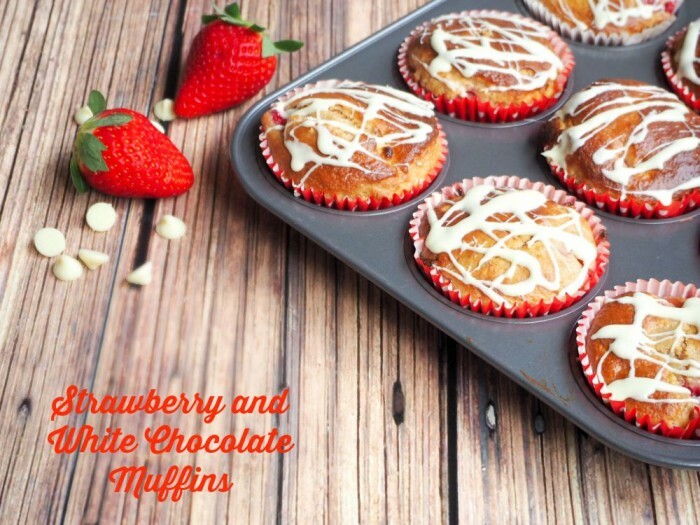 Talking of strawberries and white chocolate – well that ‘s a combo made in Muffin Heaven. They’re super yum, freezer friendly and there are Thermomix and traditional instructions too. I promise you’ll be a lovin’ these muffins! Preheat oven to 190C /170C fan-forced. Grease or line a 12-cup muffin tray. Mix the flour, oats and sugar in a large bowl and mix well with a wooden spoon. In a separate bowl, mix the eggs, yoghurt and sugar together and then add the melted butter. Mix the dry and wet ingredients together, remembering that when it comes to muffin batter, the lumpier the better! Add strawberries and the chocolate chips and stir through gently. Use an ice cream scoop to spoon the mixture into the prepared muffin cases and then bake for 15-20 minutes until golden. Allow to cool in tin and then transfer to a wire rack. To decorate, melt chocolate in microwave and then use a teaspoon to drizzle it over the muffins. Add the flour and oats to TM bowl and combine for 5 seconds on reverse speed 4. Set aside. Add eggs, yoghurt, sugar and melted butter to the TM bowl. Mix on 10 seconds on reverse speed 4. Add dry ingredients to wet mixture. Mix on 5 seconds on reverse speed 4. Add strawberries and the chocolate chips into TM bowl. Mix for 5-10 seconds on reverse speed 3, using the spatula to mix. Don’t over mix! Remember a lumpy mixture makes the best muffins! TIP! If you can’t find wholemeal self-raising flour, just add 2 teaspoons of baking powder to the dry ingredients.